The 2016 complete school report card for Day can be accessed here. and teachers in our school as compared to the district and the state. students, we did not meet our target for high needs students. narrowing proficiency gaps, its cumulative PPI must be 75 or higher. another layer of more intense supports for students who need the most assistance. and, when needed, to develop action plans for individual student improvement. determine whether or not students are meeting academic expectations. school day with their team teachers. the school year for participating low income and students of color. designed to meet the needs of students who need additional support in reading or math. students who are struggling in mathematics. · We offer homework club and a variety of study groups for struggling students. classwork under the tutelage of Day educators. 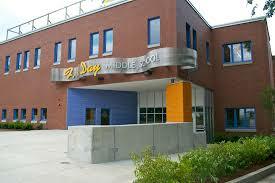 For more information about our school’s report card, please feel free to contact us at 617-559-9100. Category: Newton Schools · Tags: F.A. Day School "Report Card"